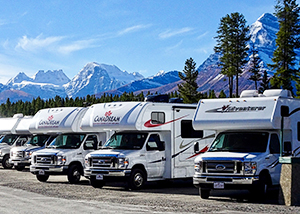 Winter recreational vehicles are sometimes given designated parking areas. Parking any other type of vehicle in these designated areas without a special winter recreational area parking permit can lead to a ticket. Be sure to pay attention to any parking signs and obey all limits on where and when parking is allowed. As always, if you are directed by a police office or traffic control device to park in a certain area, the officer’s direction trumps. The parks and recreation commission of Washington has the ability to establish further rules and regulations pertaining to traffic in parks, so when visiting a state park, be sure to familiarize yourself with all rules. RCW 46.61.585: Winter recreational parking areas—Special permit required. RCW 46.61.587: Winter recreational parking areas—Penalty. Any violation of RCW 79A.05.240 or 46.61.585 or any rule adopted by the parks and recreation commission to enforce the provisions thereof is a civil infraction as provided in chapter 7.84 RCW. If you are injured in an accident, you need an experienced and knowledgeable personal injury lawyer in Spokane on your side. The attorneys at Parke Gordon Law Firm will work hard to get you the compensation you deserve. Contact the law office of personal injury attorney Mat Parke today for a free consultation. This is your opportunity to speak with an experienced personal injury attorney about your case for free. Call (509) 482-7274 to get started on receiving a fair settlement from your personal injury case.